Delivery time: If ordered before 2:00 PM CST Item ships same day! 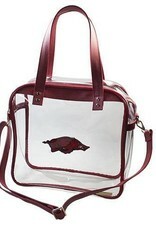 This bag by Capri Designs is APPROVED for all SEC VENUES! 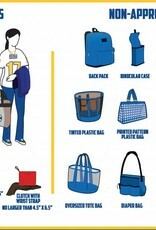 So get yours NOW and DON'T GET TURNED AWAY AT THE GATE! 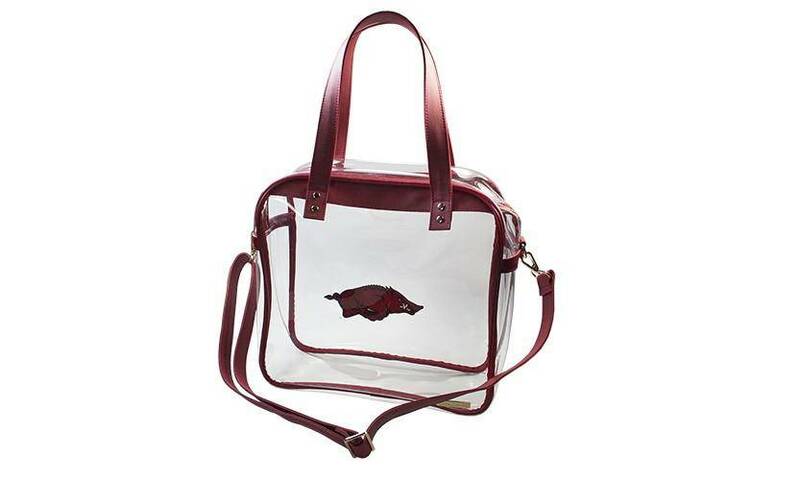 This Clear handbag is great for Stadiums, Venues, and More. 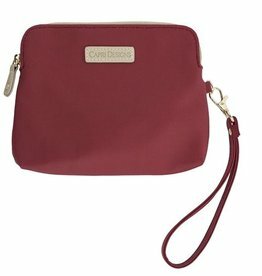 The main zippered compartment is perfect for securely storing your person items. 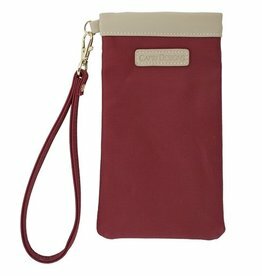 The adjustable and detachable strap is a coated cotton canvas. Very comfortable to the skin. 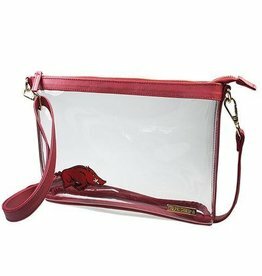 This bag has a clear PVC body with classic accents of coated cotton canvas and gold hardware. 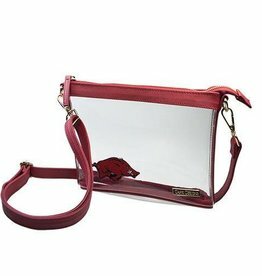 The main zippered compartment is perfect for storing your essentials on game day. 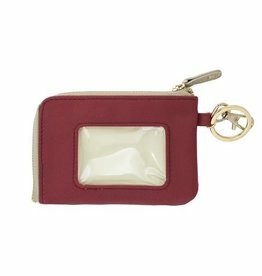 The zipper is very well sewn in and is made of metal and has a very high quality, heavy duty smooth feel. Use the 6.5 drop length or the adjustable and detachable 33 shoulder strap. 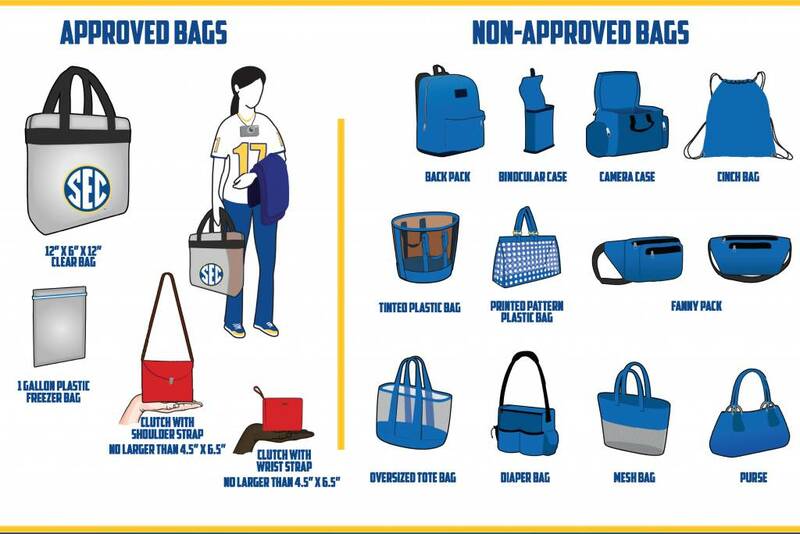 This bag fits within the University of Arkansas, SEC and NFL regulations for Stadium Bags.